Mom and I are traveling alone now. 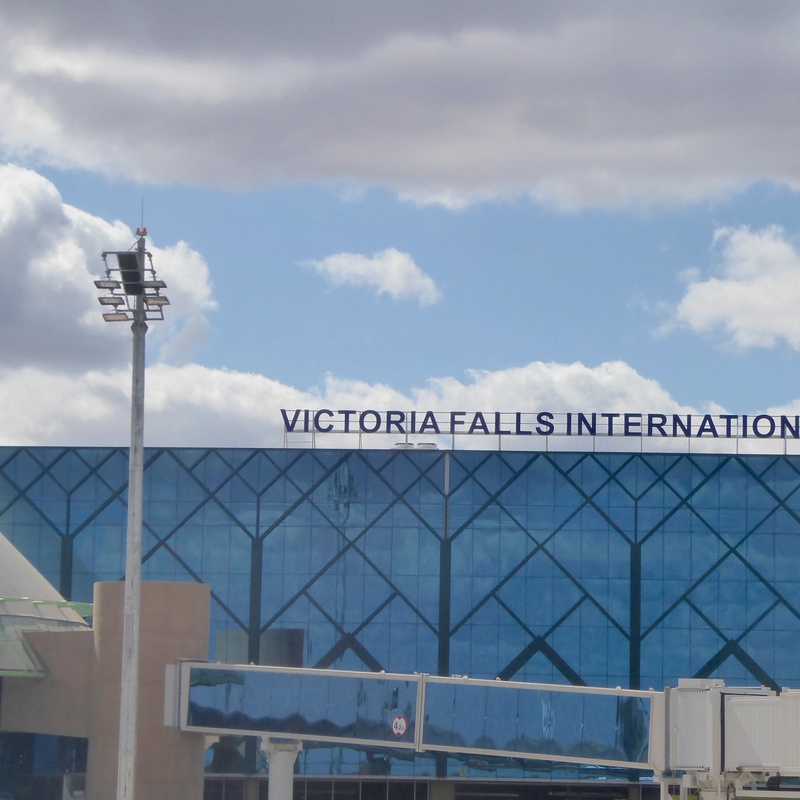 Leaving Malawi, we had an overnight stop in Johannesburg, South Africa and then we went on to Victoria Falls, Zimbabwe. Welcome to Victoria Falls. Our taxi from the airport took us to a travel agency on the way to our hotel. 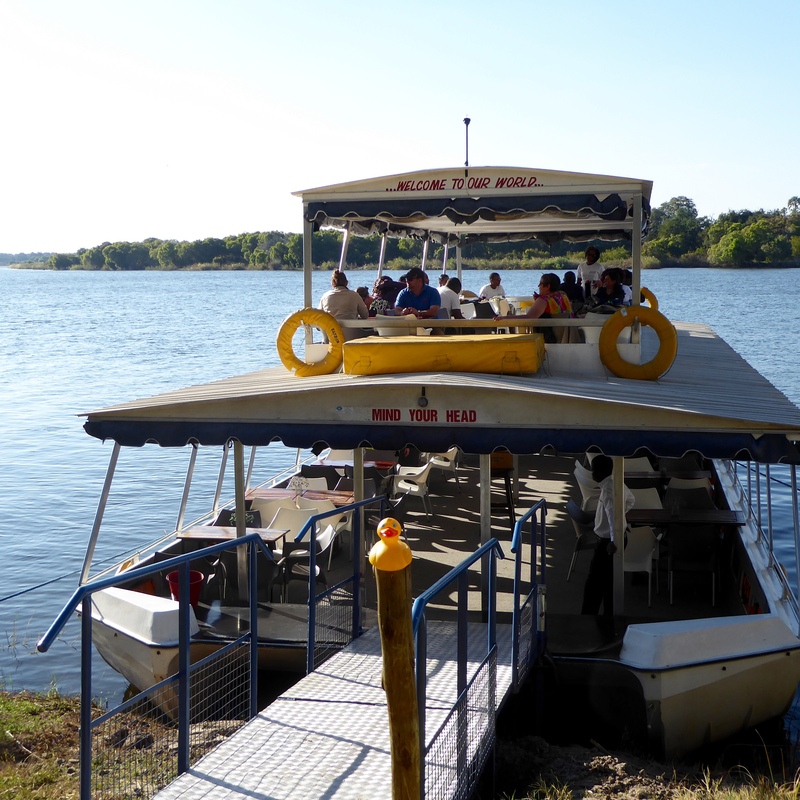 We made reservations for a river cruise and a one day safari in Botswana. Our hotel is located near a craft mall and anther outdoor craft market. More time will be needed here. After checking into our hotel, it was time for our first adventure. I, Zeb the Duck, love boat rides. 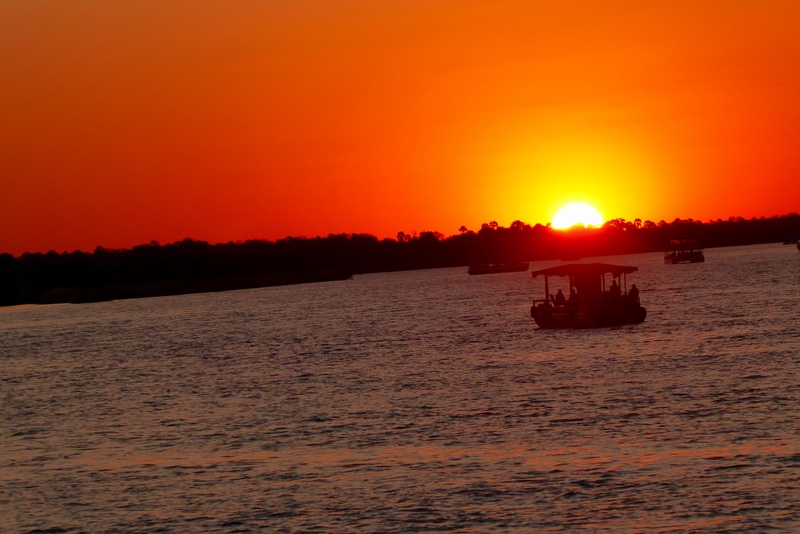 We went on a sunset cruise on the Zambezi River. This river separates Zambia and Zimbabwe. 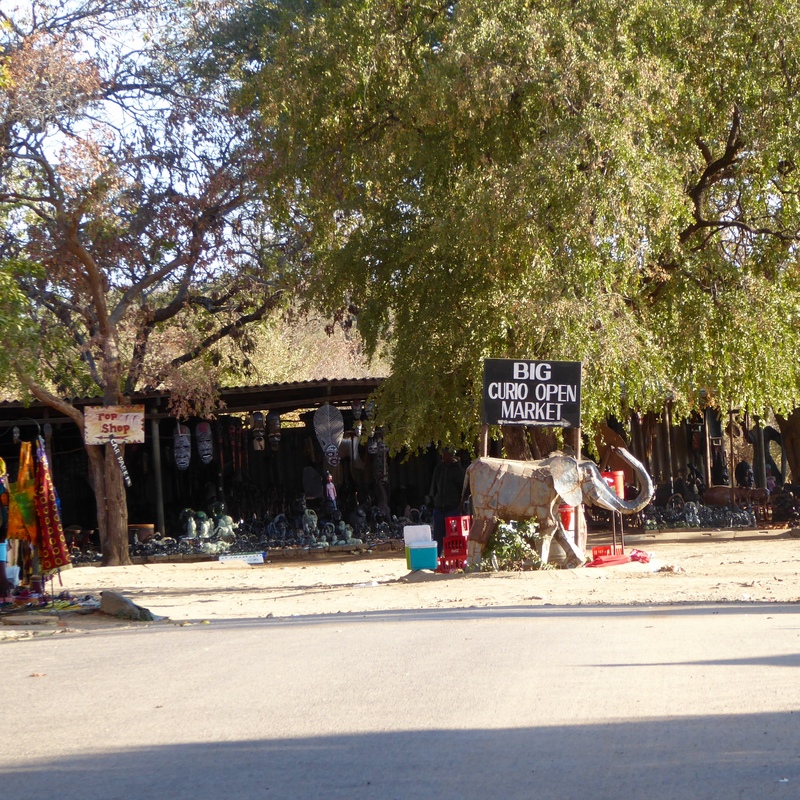 We are staying in the city of Victoria Falls on the Zimbabwe side of the river. The bus picked us up at our hotel and then picked up more humans. 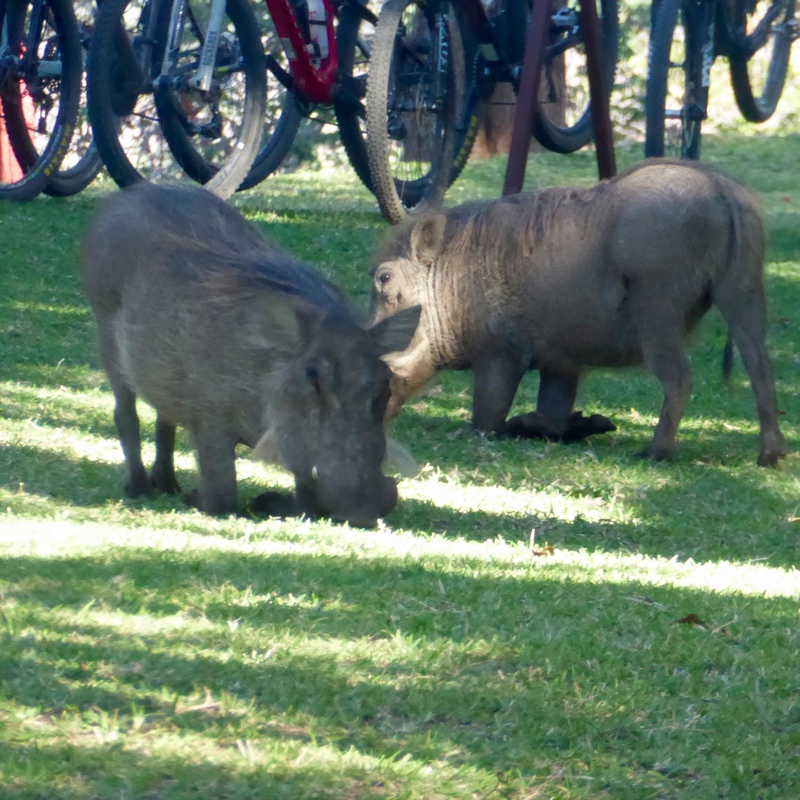 At one resort, we saw these warthogs in the lawn. Isn’t that great? Animals as soon as we arrived in Victoria Falls. Here we are, ready to hop on this river boat. 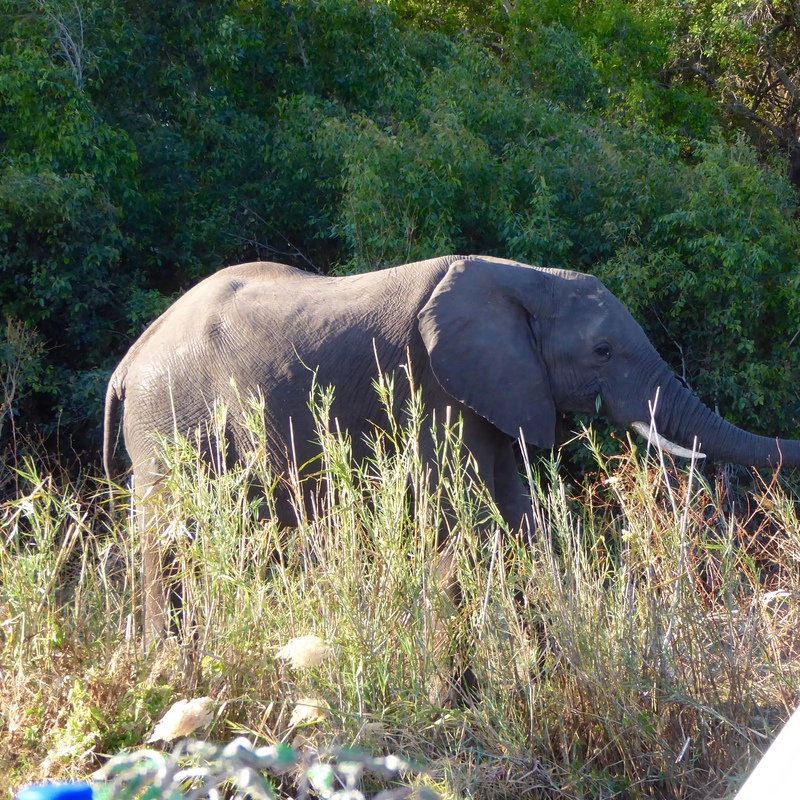 We were only on the boat a few minutes when we saw this elephant, on the Zambia side. This is our first Zambian elephant. There are lots of birds here also. 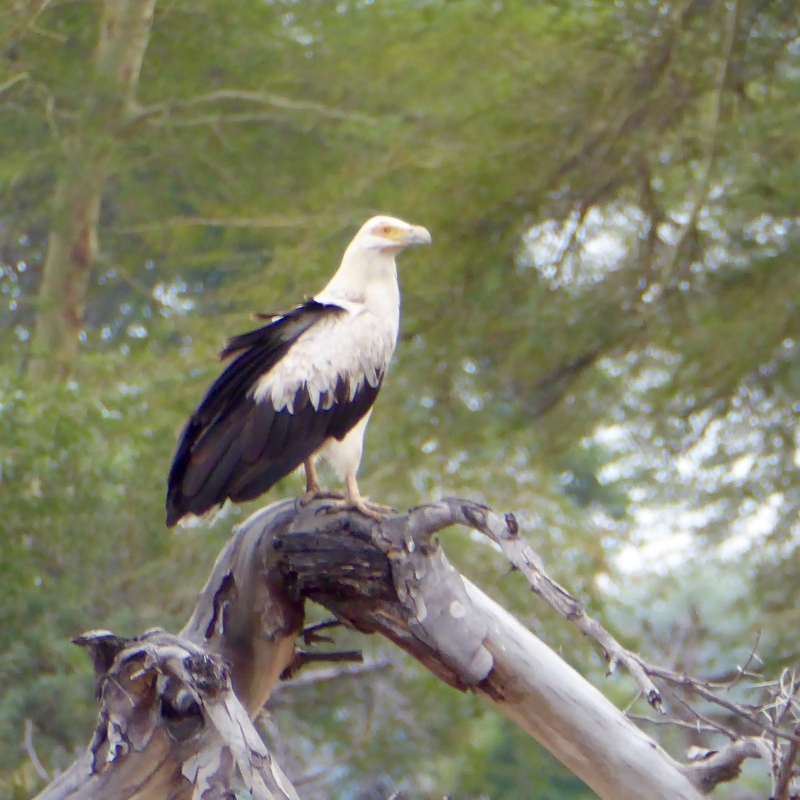 We recognized the fish eagle. We really like them, and we have seen them many places. 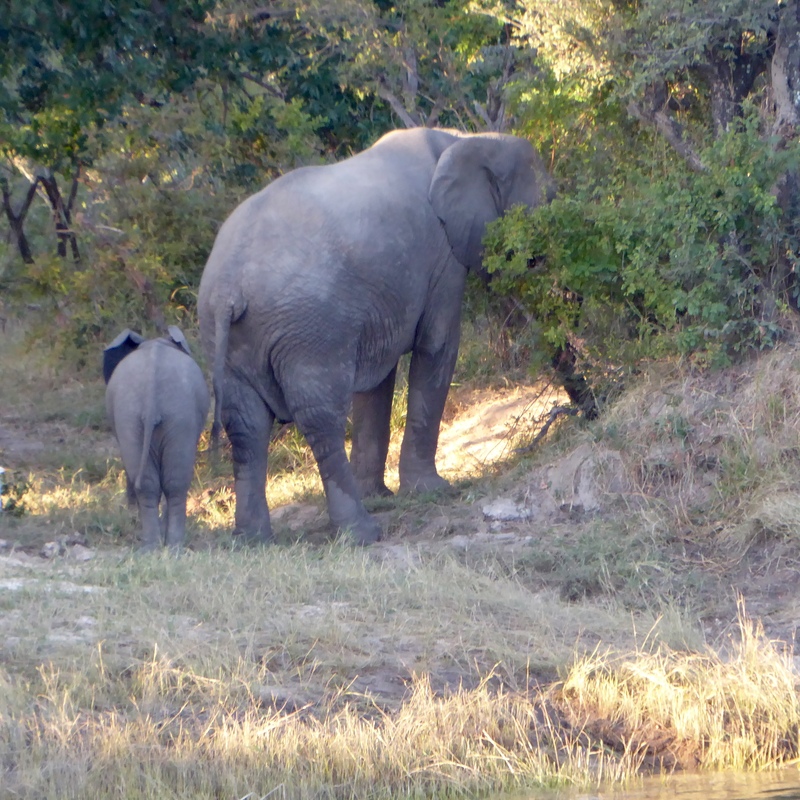 Still on the Zambia side of the river we saw this mother elephant with a young elephant. They did not pose for photos; they tuned and walked away from us and the river. 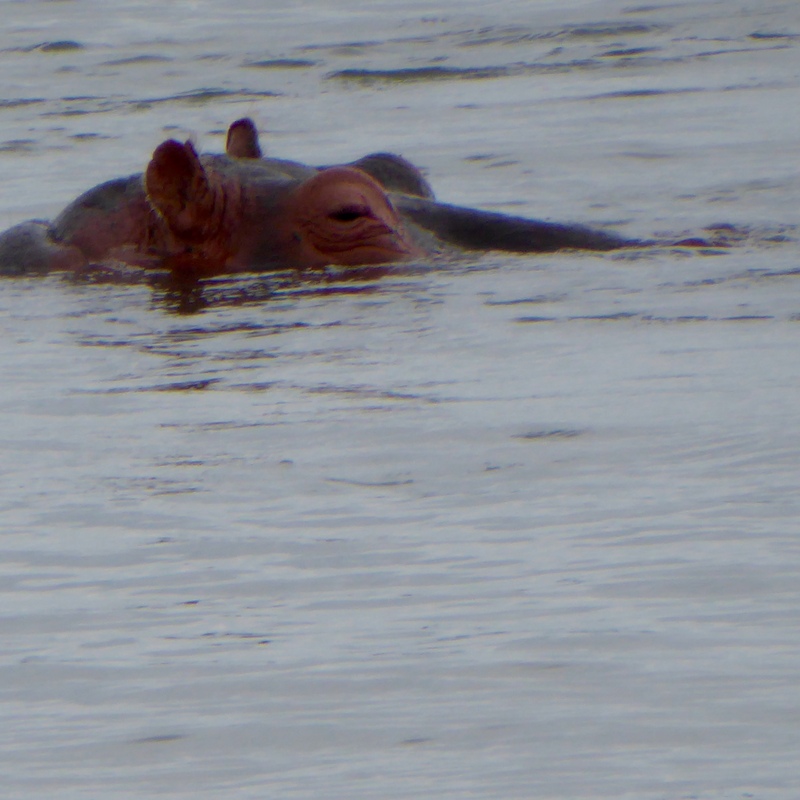 The hippos here seemed to be playing with us. They would look at us and then go under the water. Soon come up again, but only for about 8-10 seconds. It was cute, but frustrating also. 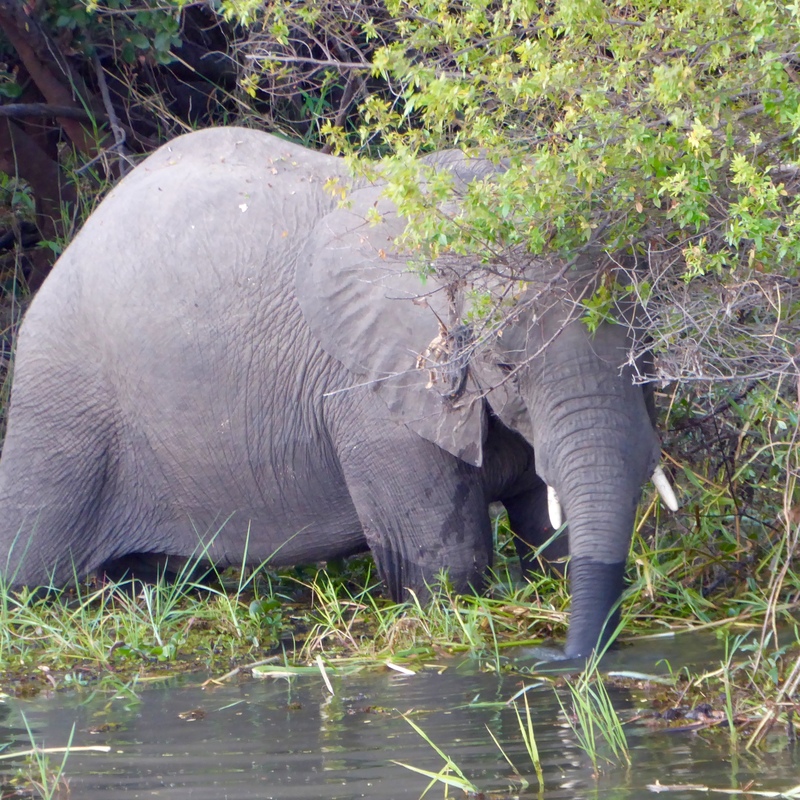 Here is another elephant, drinking from the Zambezi River. We did see one small crocodile sunning on the sandy river bank. It did not show up well in photos. We are in the Zambezi National Park. They often name national parks after the river. Here is the sunset we came to see. 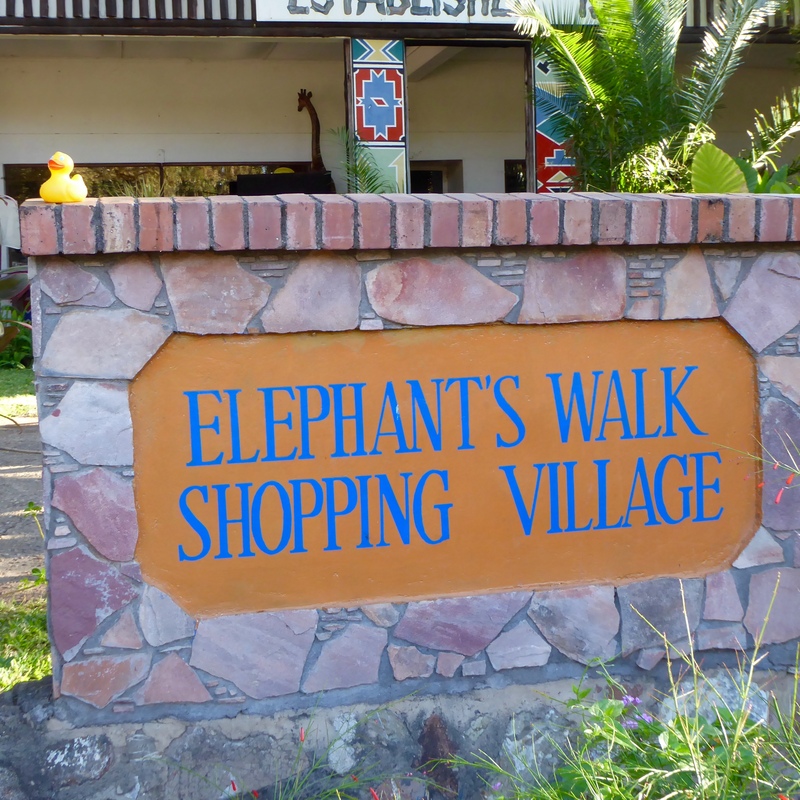 Elephant Walk Shopping. Many beautiful craft stores inside. but upstairs there is an Asian restaurant. 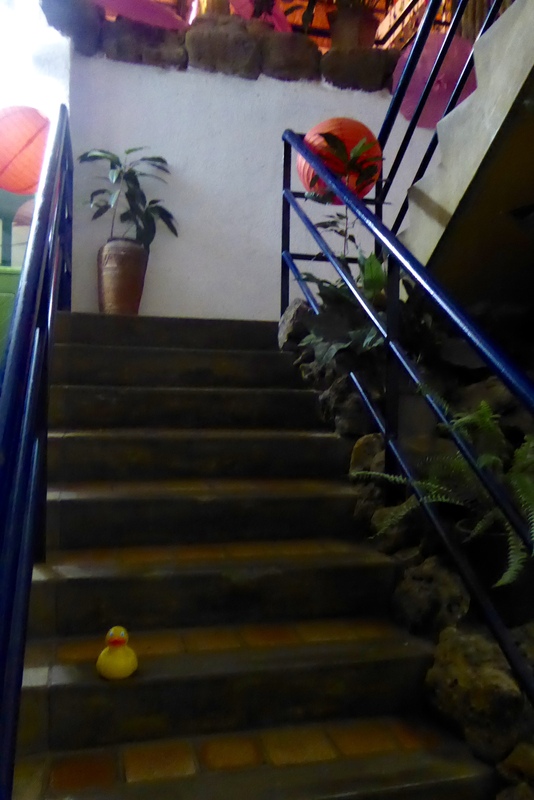 So up the stairs we went. The menu featured several pages of Thai dishes and a page of Chinese offerings. Everything sounded good; we were hungry. 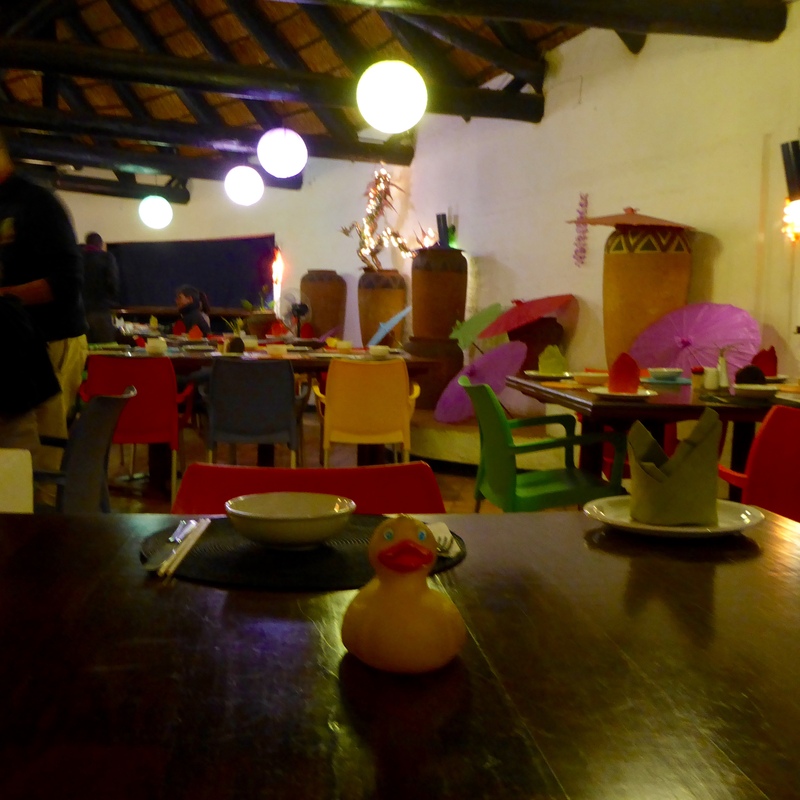 This is an attractive restaurant. It is called Namtook. We ordered from the Chinese page. 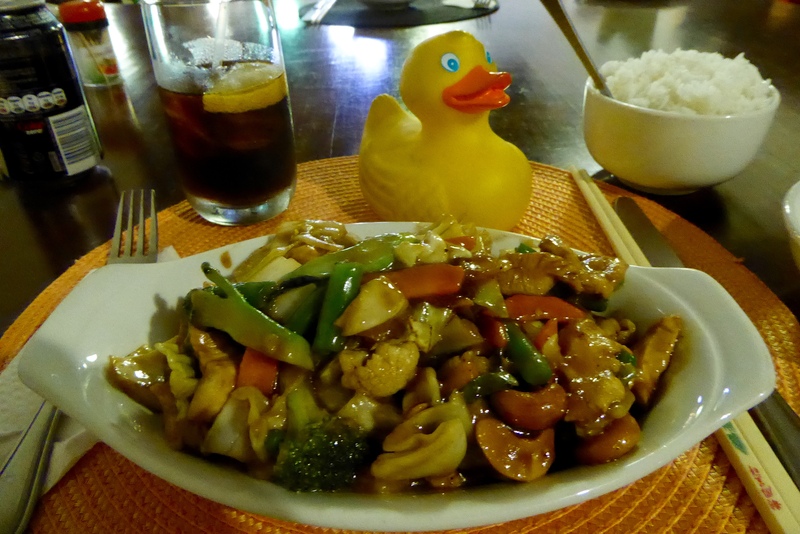 This is our chicken and vegetables with cashew nuts. Do you see those chopsticks? We used them to eat. It was fun. Everything was very tasty. We are glad we chose this restaurant for dinner. Our first evening in Victoria Falls, Zimbabwe was a success. This entry was posted in Africa, Uncategorized, Zambia, Zimbabwe and tagged Africa, Colorado Traveling Ducks, elephants, fish eagle, hippos, Namtook Restaurant, sunset, Victoria Falls, Zambezi River, Zambia, Zimbabwe. Bookmark the permalink. Love the pictures of the animals! Thanks. The animals were so close. It was wonderful. Thanks for reading and commenting. What a wonderful adventure. Seeing the animals must have been fantastic. Seeing the animals “in the wild” is always a thrill. Never tire of seeing those amazing creatures. Thanks for reading and commenting.